Many in the West probably wonder how the the Ukrainian rebels defeated the Kiev forces without much help from Russia. But this has happened many times before; good little guys often beat bad big guys: the Vietnamese beat the Americans, the Israelis beat the Arabs in 1948. But, for our purpose, it’s worth considering how the Finns beat the Soviets in the Winter War. In 1939 the Soviet Army invaded Finland along the entire border. 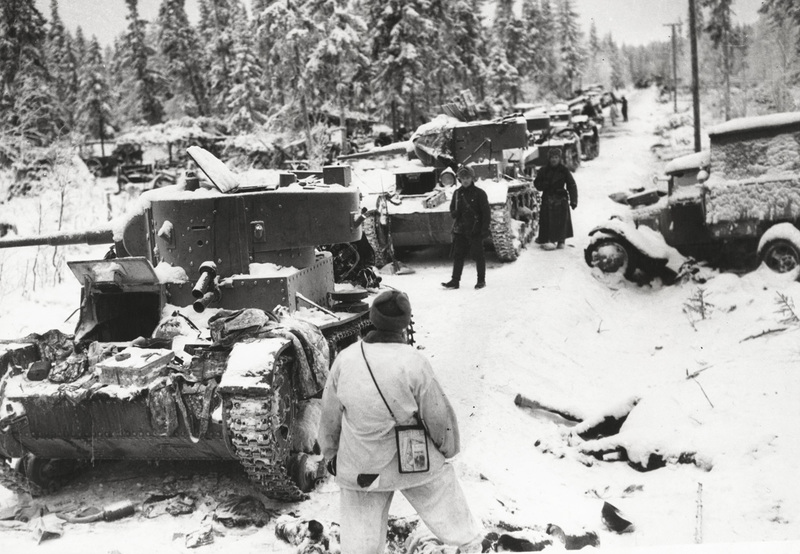 The Finnish Armed Forces were small and not very mechanised but they were determined and they knew the ground they were fighting on – it was theirs, after all. The Soviet Armed Forces were large, highly mechanised by the standards of the time but poorly led (Stalin had killed or imprisoned the best commanders a year or so before). So what were the Finns to do? They could surrender, but they were Finns and disinclined to do so. They had two fronts to deal with. The first was in the south in Karelia. Here they understood that there could be no retreat. So they held the “Mannerheim Line” and sent whatever heavy weapons they had there. The Finnish strategy here was the word sisu. The English translation for sisu would be something like “We’re not giving up. Ever. No matter what”. I recommend watching the movie Talvisota to show what this actually meant. But the Soviets also invaded in the north all along the border. Equipped, we are told, with Swedish-Russian dictionaries for when they got to the other side of Finland. Here the Finns could not spare their limited heavy weapons or manpower; but they could not afford to be defeated here either. At the time, most “military experts” bet on the Soviets: more tanks, more aircraft, more men and so on. Just as most “military experts” probably bet that Kiev would defeat the rebels. Much the same thing happened in eastern Ukraine; the favourite word there being “cauldron” or котёл. The principal difference being that you can create motti in forests, but only a котёл in steppe land. I no know better description of how to create one than the Saker's. But it is very much the same as how to make a motti. Road-bound, poorly commanded heavily mechanised units advance too far and are cut off. Sometimes they can fight their way out but it’s a declining situation if they stay: every day they have less food, fuel, ammunition and water. If they don’t fight their way out, they die or surrender. In Ukraine it’s summer, so at least they don’t freeze to death as thousands of Soviets did in the motti. So there you have it, that’s how the little guys (but they have to be very brave and very determined) can beat the big guys. We see the same thing in Iraq or Afghanistan, by the way. The difference being that the Iraq or Afghanistan insurgents can’t concentrate because of America air power so they never can create a motti or котёл. And another similarity, and a very important one, in eastern Ukraine and Finland as well as Vietnam, Afghanistan, Israel in 1948 or Iraq, to quote James Clapper, the director of national intelligence (USA), is that the attackers don’t “predict the will to fight”. In June Poroshenko was talking about the whole thing being over quickly: “in hours, not weeks”. As that great military strategist, Muhammed Ali, put it, when you haven’t got the muscle to stand toe to toe, float like a butterfly, sting like a bee. And chop them up into into motti if you get the chance.